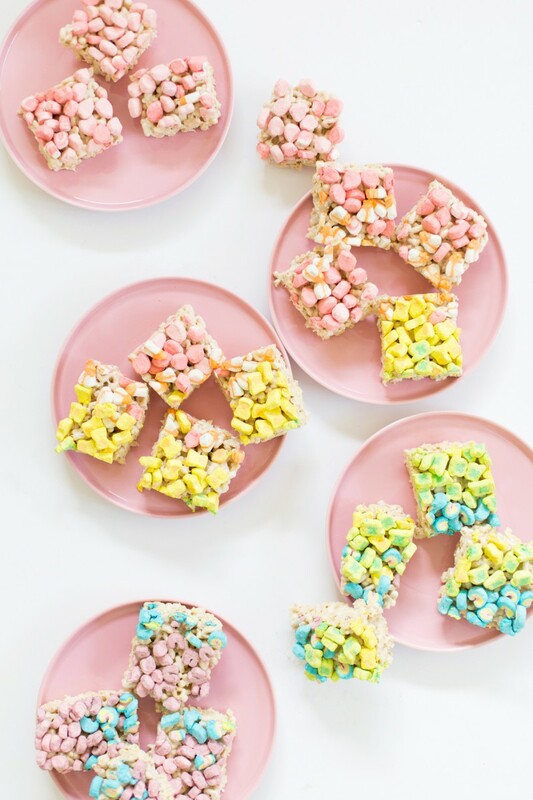 I’m pretty sure we’re all on the same page here, wherein if Lucky Charms made a marshmallows-only box we would be ALL OVER THAT. Just thinking about it is the stuff of my childhood dreams. We never got sugary cereals when we were little (we were pretty much a Kix or Grape Nuts household… womp womp), and so now I’m making all of my cereal wishes come true. Sorry mom. 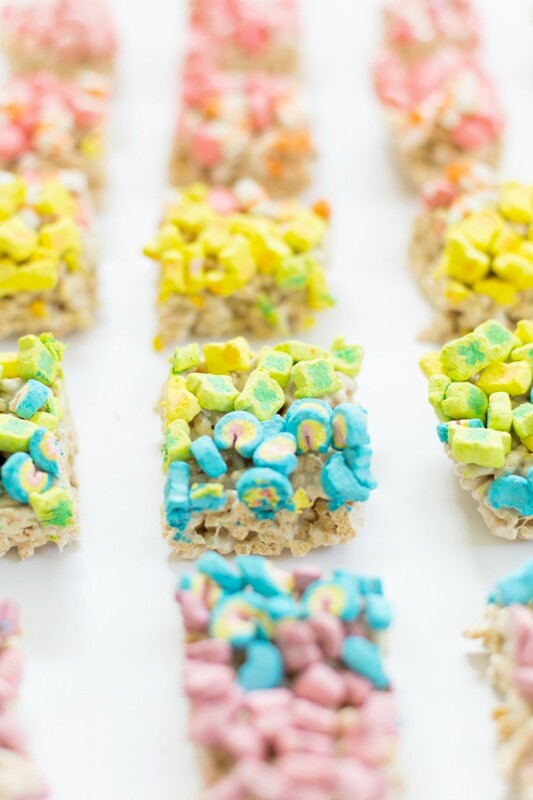 These Lucky Charms Marshmallow Treats are pretty simple, just a spin on the old classic, but what makes them super rad is the rainbow of marshmallows covering the top. Tell me you don’t want to dive into these babies. Start by sorting your cereal. If you don’t want the marshmallow topping, you can skip this part. 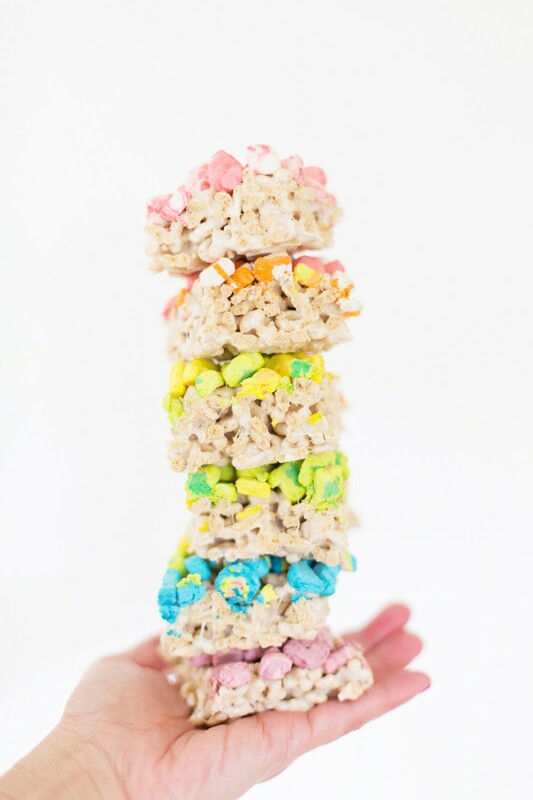 But the marshmallow rainbow is half the fun! 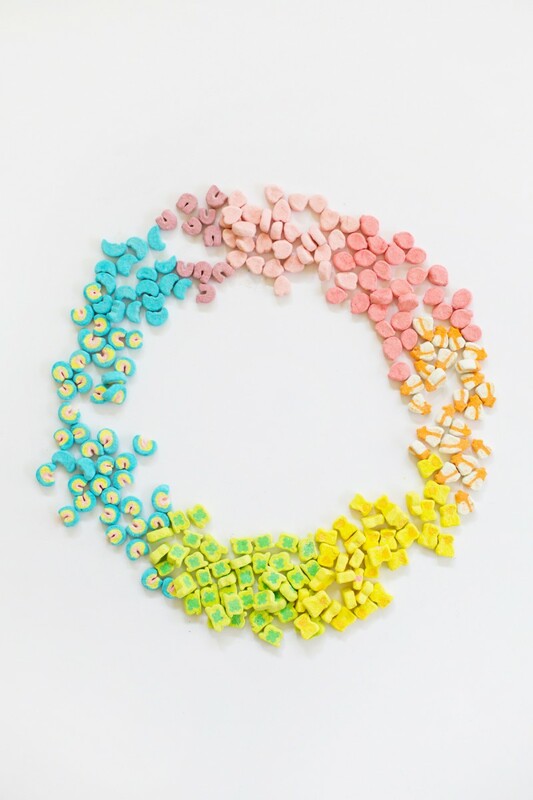 So sort all the marshmallows out by color and the cereal pieces into a separate bowl by themselves. 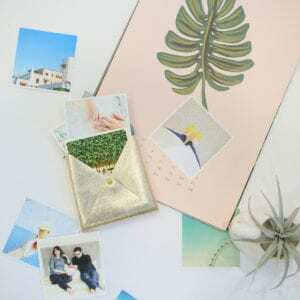 Grease a 9 x 13″ baking pan and set aside. Melt 3 tbsp butter in the microwave. Once melted, mix in 3 c mini marshmallows and toss to coat. Melt the marshmallows in the microwave as well; it should take about 90 seconds or so. Stir to mix again, then pour in your cereal and mix with a spatula to coat all the cereal in the marshmallow mixture. 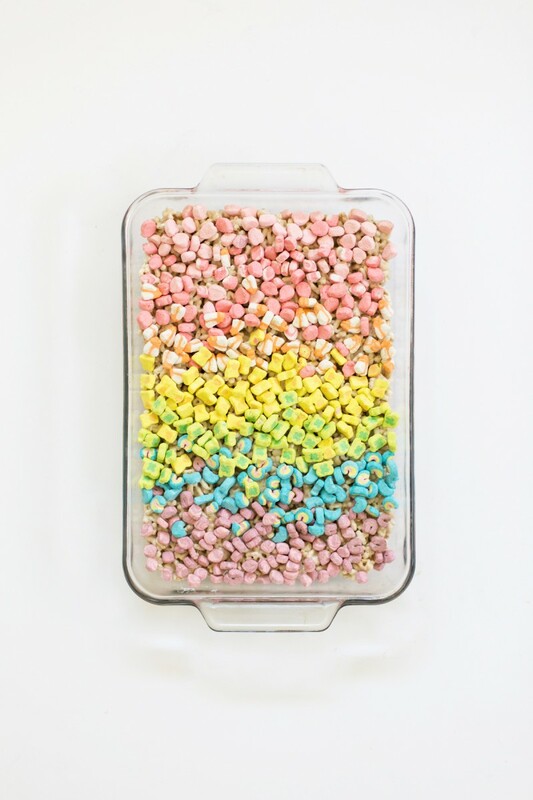 Scrape the cereal into your baking pan. Spread some butter on your hands (or the cereal will stick!) and press the cereal into the pan firmly. 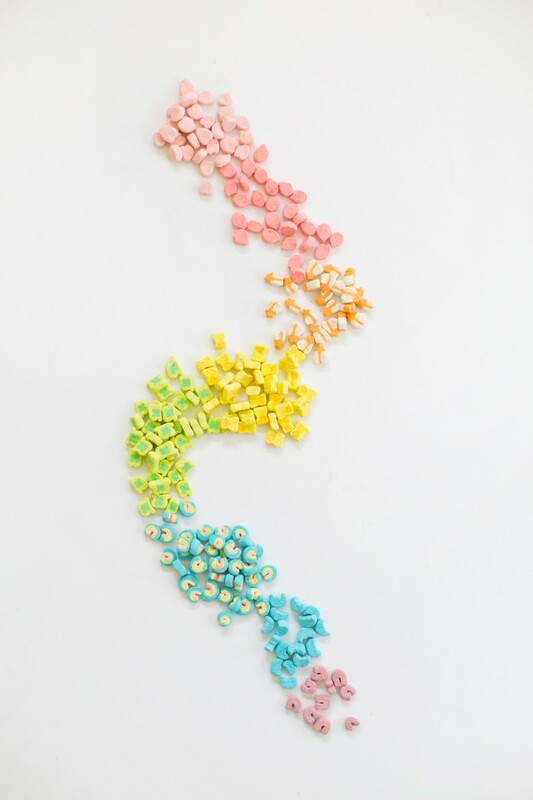 While it’s still warm, sprinkle the marshmallows onto the top of the cereal in a rainbow and gently press into the cereal. Why don’t they make a marshmallows only box? They’d make mint on it! My fam is going to ❤️ this treat! Can’t wait to make on St Pats. Thanks! Didn’t they make an all marshmallow box like ONCE back in the day?? Or am I thinking of Cap’n Crunch “Oops All Berries”?? They had a contest last year and made only 10 boxes but you had to win them. 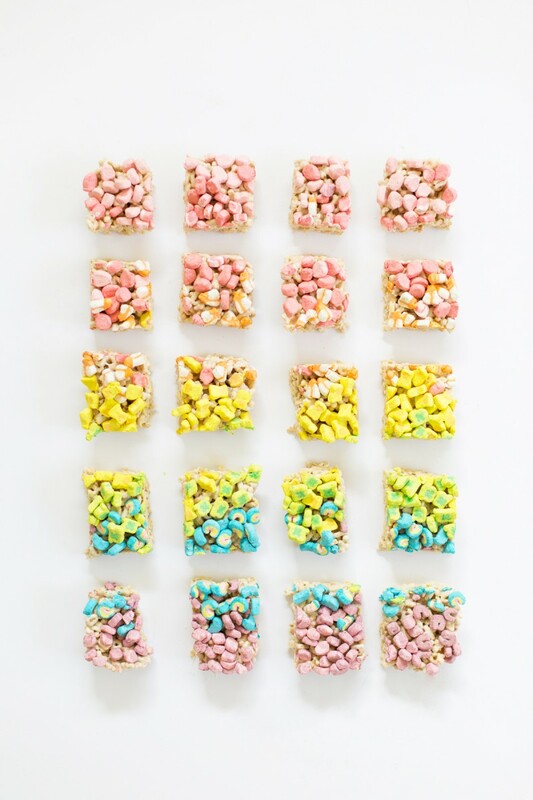 I have added some links in the comment section where you can buy rainbow marshmallows online. Only 10 boxes?! I wonder who the lucky winners were?! Did they?! I am so sad to know that I missed out on the magic…BUT Cap’n Crunch “Oops All Berries”?! Sounds ah-mazing! 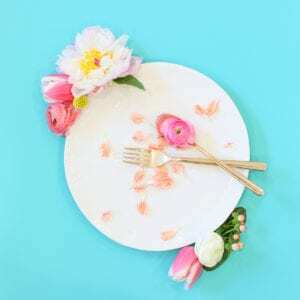 Beautiful and fun… and delicious! First, this looks delicious. Second, you can totally buy “cereal marshmallows” on their own – I bought a couple giant bags for my sister for her birthday one year and it was a hilariously delicious gift! I bought them here (http://www.cerealmarshmallows.com/), but it looks like there may be other sources as well. Thank you! and p.s. I LOVE that you notices the rainbow hue ? Hi Pat! Thank you so much for providing me with the links! I’ve bookmarked them and will definitely reference them for my future projects… Now, what should I make next?! Oh my gooooosh! This is the cutest! 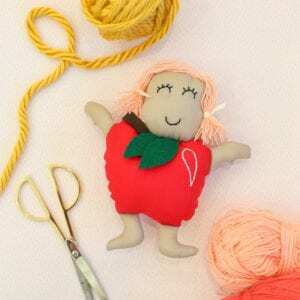 Pingback: Snap, crackle…pot of gold!